Yeah, so, Brooklyn … I don’t know how to break it to you, but Nashville’s comin’ for us. And I mean, like, she’s hot on our trail. I saw it with my own eyes, ya hear? And Nashville, don’t take Brooklyn too seriously when we act all, ‘oh, we’re so not impressed by your hand-me-down hipsterdom,’ and we tell you you’re just a parody of our fine, tattooed, beer-brewing borough. We all know where our plaid and pedal steel originated. We all know. And I, for one, take you very, very … very seriously. So seriously, in fact, that when I saw new Nashvegas band The Wild Feathers set to play NYC’s Rockwood Music Hall this week, my heart fluttered. Flutter it did, because in a music-saturated metropolis where the ratio of quasi-listenable to listenable artists is about 207:1, the preface “Nashville-based” carries a promise of talent … and almost always delivers. 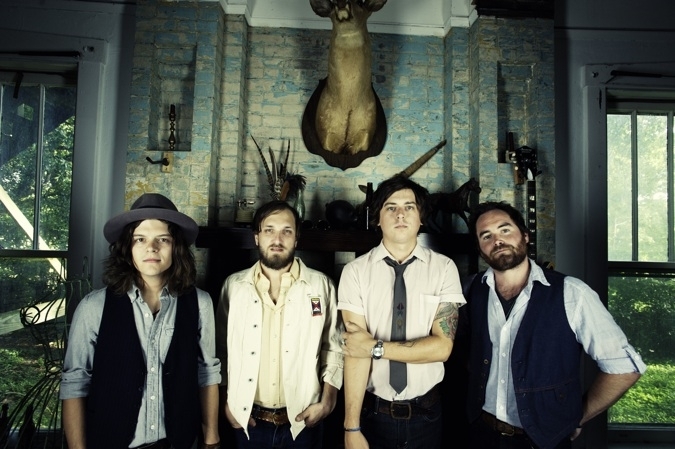 Great article on The Wild Feathers. They are the quintessential American band!